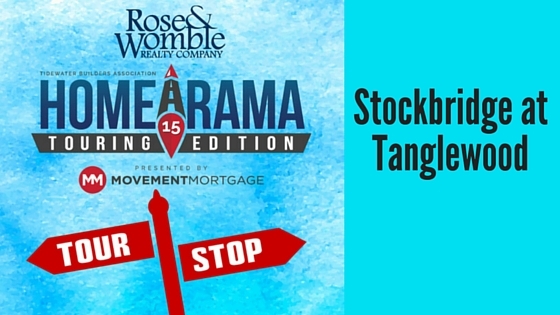 The 2015 Tidewater Builders Association’s Homearama Touring Edition isn’t limited to Virginia, Rose & Womble New Homes is proud to represent the only North Carolina community in Homearama this year. Stockbridge at Tanglewood is located in Elizabeth City. The Pendleton model has four bedrooms and two and half baths and the builder, Hearndon Construction added some great features. This home has a tankless water heater, a popular energy saving feature. The great room is prewired for surround sound and there is hardwood flooring in the dining and great room.